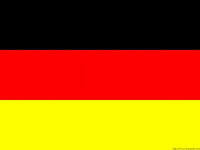 Black boots of the German Army (Bundeswehr) are made of genuine smooth leather, they feature leather intermediate sole + polyurethane tread. 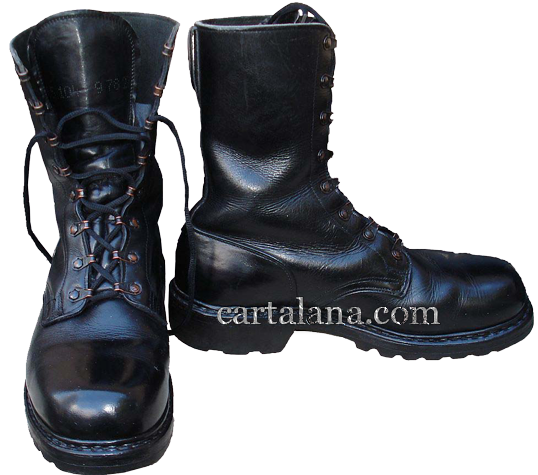 According to the Bundeswehr footwear classification, they are called: "Die schwarzen Schnurstiefel Variante 1: Der Glattleder-Schnurstiefel" (Black leather lace-up boots variant 1: with smooth leather). 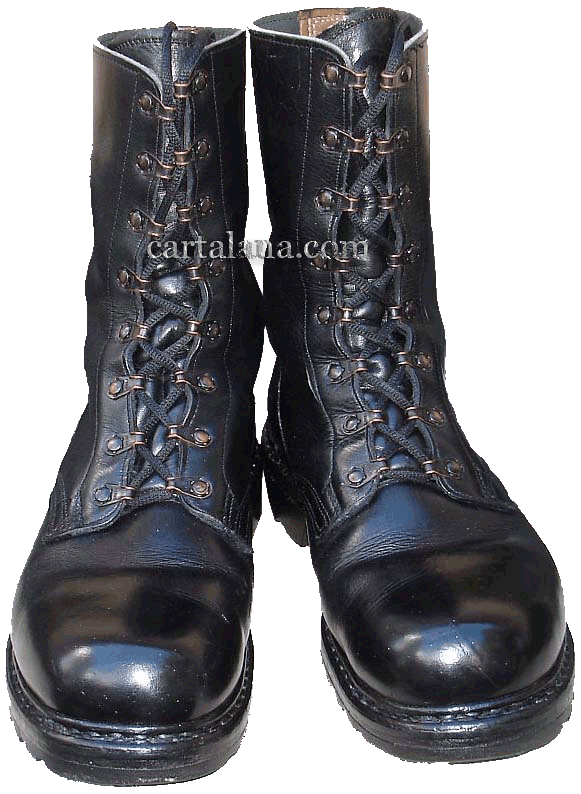 The boots size is indicated in the "Mondopoint" system, i.e. in millimetres. 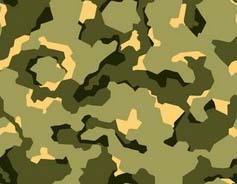 The 8-eyelet speed-lacing system is provided with the help of non-ferrous metal loops, manufactured by the "STOCKO" company, a contract provider of the Bundeswehr. 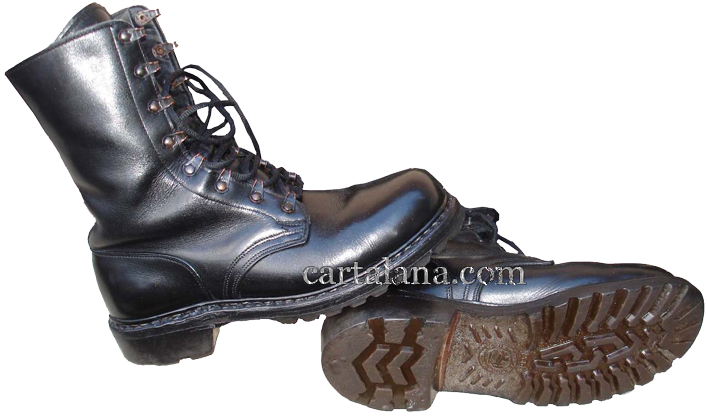 The boot's leather padded tongue is sewn to the boots top on the level of the sixth eyelet of the speed-lacing system, if to count upwards from down. So one can step into a puddle almost up to this level without ingress of water inside. 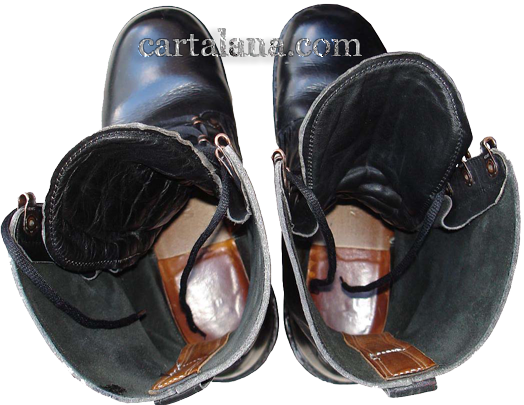 Under condition of regular treatment with quality boot cream the boots leather doesn't get wet. The heel is reinforced with an additional layer of thick leather, which provides good ankle fixation and protection from dislocations. 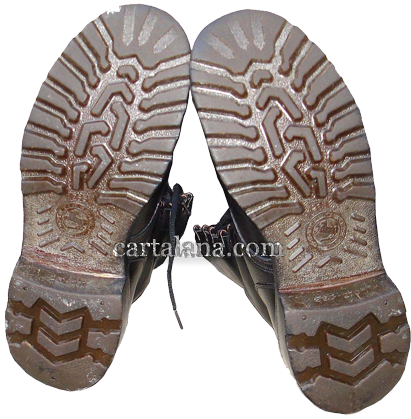 On a sample photo one can see durable but flexible leather and thick leather intermediate sole, fixed together with polyurethane tread by an adhesive is manufactured by "Continental" company. Unlike modern direct-moulded boots with soft rubber outsoles (which are practically not a subject of repair), the "leather+ polyurethane outsole" adhesive mounting method allows one to repair such boots by almost any cobbler and even to replace the outsole completely when needed. These boots are no longer produced because of the high complexity of the handmade process and need in expensive materials. Modern industry has long been focused on the manufacture of disposable items, which can not be repaired. More recent, but less successful "Model 2000" Bundeswehr boots (so-called "BW Kampfstiefel Typ 2000") have serious constructive defects that occur over time. Even if not to wear, but just to store them (washed clean, polished with a good cream ("KIWI", for example) and filled-in with crumpled paper to keep the correct form), sooner or later the outsoles start to peel off, and then grey foam layer between the leather innersole and thick rubber tread crumbles and decomposes. 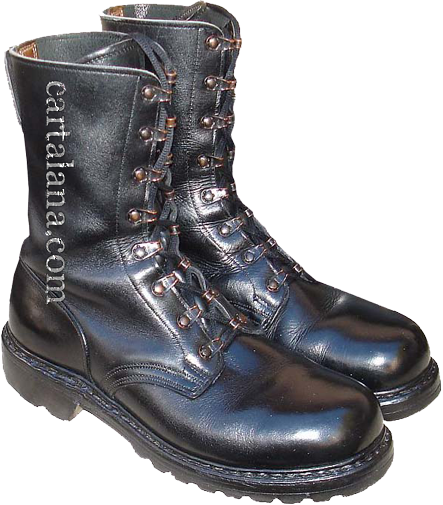 After that, these boots are not a subject to repair - leather intermediate layer is treated with a kind of glue which can not be eliminated. 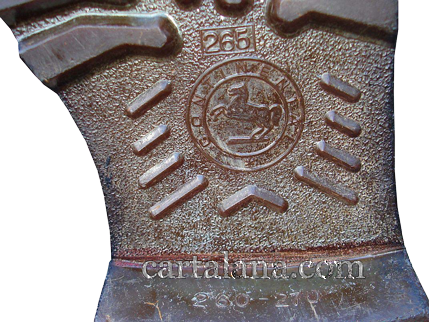 Moreover, most of the new rubber soles in the cobbler's workshops are no longer flat, but with the folds for sewing, and the cost of the works would be too high.